Synergy Physiotherapy in Woking and Egham in Surrey. Expert Physiotherapy that works. Our philosophy is to ensure that you recover fully from your injury, and once recovered, you have a better understanding of how your body works and less chance of getting injured in the future. We achieve this through a combination of comprehensive Physiotherapy, Video Movement Analysis and Specialist Rehabilitation. We ensure at all times that we track and inform you of your progress until we achieve your goals. 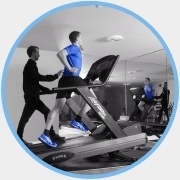 We offer physiotherapy, sports massage, sports rehabilitation, sports injury treatment, running and movement clinic and Pilates at our state of the art physiotherapy & sports injury clinic in Woking. 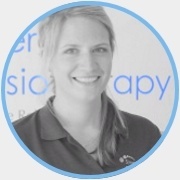 We are a team of chartered Physiotherapists and Rehabilitation Specialists that are passionate about helping you. Whether you are suffering from discomfort following an injury, or simply want to become better at your favourite sport – we will listen to your story and design a treatment plan that is tailored to you as a person not just as a patient. Our wealth of experience allows us to provide each individual patient with a holistic treatment approach, taking into account your personal goals and enable you to achieve them. You will be involved in every step of your treatment with us – we want you to understand your condition and all the options you have, so that you feel confident that you are receiving the best possible care. Through our unique combination of highly skilled physiotherapists and rehabilitation specialists we are able to go a step further. We are able to provide “Complete Rehabilitation”, which means that we do not only treat your injury until you are back to pre-injury levels, but that we get you even stronger and better than before, to stop the injury from recurring. We pride ourselves with providing you with the best care whilst you are with us, but also want to make sure that the benefits of your time with us are evident long after you have finished your treatment. It is our goal to teach you more about your body and how to make long-lasting improvements to your health and lifestyle. 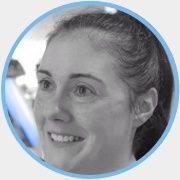 Our team will assess and treat anyone with a musculoskeletal (eg joint, muscle, tendon, ligament or nerve) problem, and we also have specialist Physiotherapists in Paediatrics, Women’s Health and Neurological Conditions. You can also come to us if you suffer from a knee condition as we can provide comprehensive knee treatments, including bracing. We complement our services by offering Sports massages, Hydrotherapy and Pilates. Furthermore, our bespoke Running and Movement Centre are experts at helping you to run better and faster, regardless of your age, running ability or experience. A detailed biomechanical analysis allows us to make qualified observations and evaluations of your running style and helps us identify your specific areas of improvement to which we will then tailor a personal training programme. Our step-by-step coaching will help you develop a correct running technique through targeted movement re-education. We believe that movement is a skill and can be taught. A better running technique is not only crucial for performance enhancement, enabling you to run more effectively and reach the finish line quicker and without pain, but is also important in injury rehabilitation and prevention. Our aim is to provide you with first class service every day. Our staff have made the following promises to ensure that we deliver this standard. Friendly and Relaxed – You will always be treated in a friendly manner to help you feel at ease and comfortable throughout our time with us. Optimal Recovery – We will do whatever is necessary to support your optimal recovery. Informed and Educated – No big words or confusing terms. We will make sure that you understand your condition and what we are doing in order to get you better. Confidence – We will enable you to have confidence in our expertise and that you are receiving the best possible care. Ultimately we want you to believe in your goals and abilities. Forward Thinking – For your treatment we will use the latest technology, techniques and ideas to give you the best chances of recovery. Are you not sure what condition you have or whether we offer the right treatment for your needs? We always love to hear from you, so just give us a call and we are happy to help you find the best possible care. Your Synergy Physiotherapy and Rehabilitation team.